Today, we had done with shipping Japanese Girl’s Beauty Box, March 2015. It is the time to show you which set we chose. Yes! 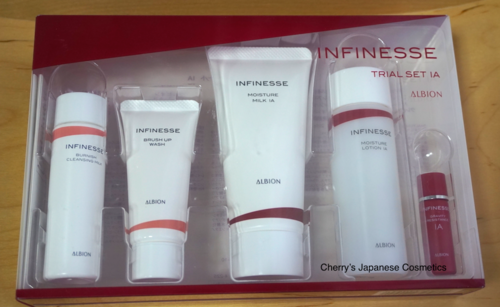 Albion Infinesse Trial Set!!!!! “Good price” products are nice. Yet ALBION is the very we often deal. I will tell you my personal review of each of items soon! Just for your information, we chose full bottles set for March 2015! Yeah, it is the time to accept order of March 2015. Please order from here: “Japanese Girl’s Beauty Box“.